Stratford, CT, August 3, 2018 – Northeast Horticultural Services has been hired to manage a non-toxic, organic program to control vegetation in the Town of Oxford, Connecticut. 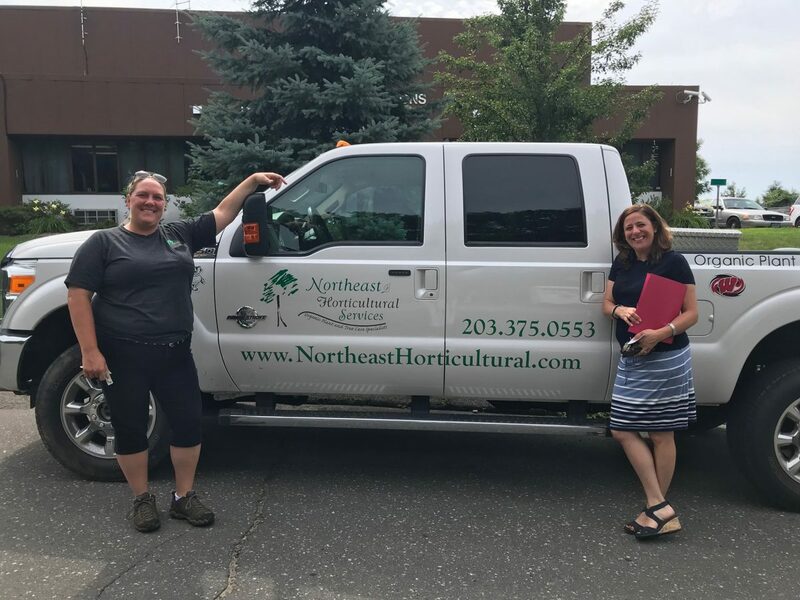 The decision to work with Northeast Horticultural Services was the outcome of a meeting set up with Wayne Watt, Director of Public Works by concerned Oxford resident Jennifer Giustra Kozek. For years, the Town has worked with an outside firm to control vegetation in public areas without understanding the health effects of the chemicals in use. Jennifer Giustra Kozek saw a need to address this issue and decided to take action. The purpose of the meeting was to question current practices and learn about safer options to control weeds and unwanted vegetation in the town where toxic herbicides are now used. She enlisted the help of Zen Honeycutt of Moms Across America, an organization whose mission is to raise awareness about GMOs and toxic exposure and Jeff Cordulack, Executive Director of CTNOFA (Connecticut Chapter of Northeast Organic Farming Association), an organization that develops organic land standards and educates consumers on organic solutions. 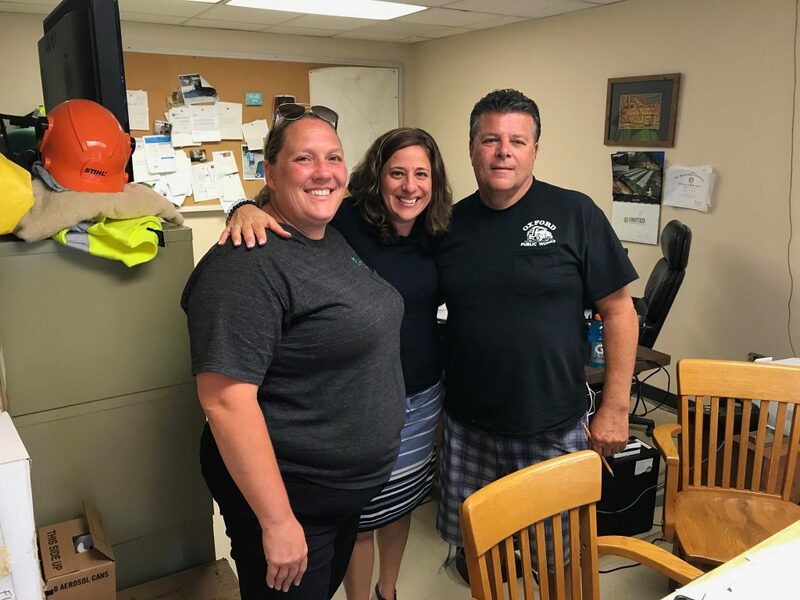 She invited Stacey Marcell, owner of Northeast Horticultural Services, who is not an Oxford mom, but also a professional, licensed arborist with a specialty in organic lawn and land care to offer recommendations on how the Town could address this ongoing concern. Glyphosate, the active ingredient in popular weed killers, is a suspected carcinogen that is applied to the leaves of plants to kill both broadleaf plants and grasses. It is used to manage vegetation in ball fields, golf courses, agriculture and other public areas. Triclopyr, an even more toxic chemical, sterilizes soil and contaminates waterways. Health concerns have been raised about these chemical for several years, and many environment groups throughout the State have been working towards restricting the use of these substances. “Of course, we all want to live in a healthy community, but sometimes as individuals, we don’t see how we can infuse change. Jennifer actions shows us how we can make a difference. Just by educating herself and bringing the right people together, we see how Jennifer had a concern and did something about it. As a resident of Oxford, I want to ensure my kids are playing in toxin-free areas. 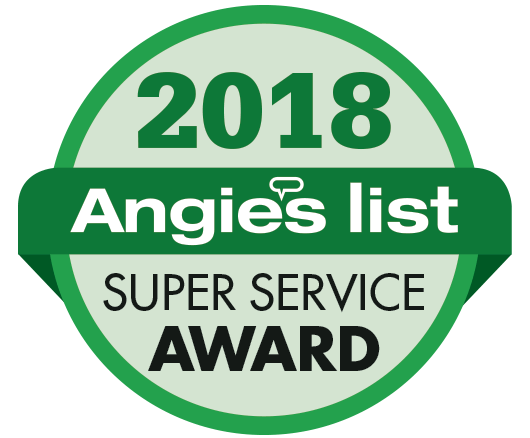 The organic lawn and land care programs we offer at Northeast Horticultural Services, advocate safe, healthy property management using organic and least toxic practices and products that nurture and protect the health of families, pets, wildlife and the environment from unnecessary exposure to toxic pesticides. As a member of NOFA, we practice the standards that make a difference for our environment. I hope other towns see what Oxford is doing and follows suit,” says Marcell.